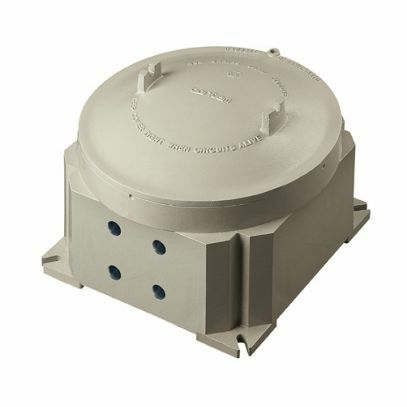 Telemetry receiver in explosion-proof box for the control of EXPTC and EXPTD explosion-proof Pan & Tilt. Allows installation in potentially hazardous areas. EXDTRX controls the explosionproof P&T functions, including the preset and optics functions. Epoxy powder painting, colour RAL 7032. 4 holes 3/4 "NPT for cable glands. Available in 230Vac, EXDTRX3, and in 24Vac, EXDTRX324.